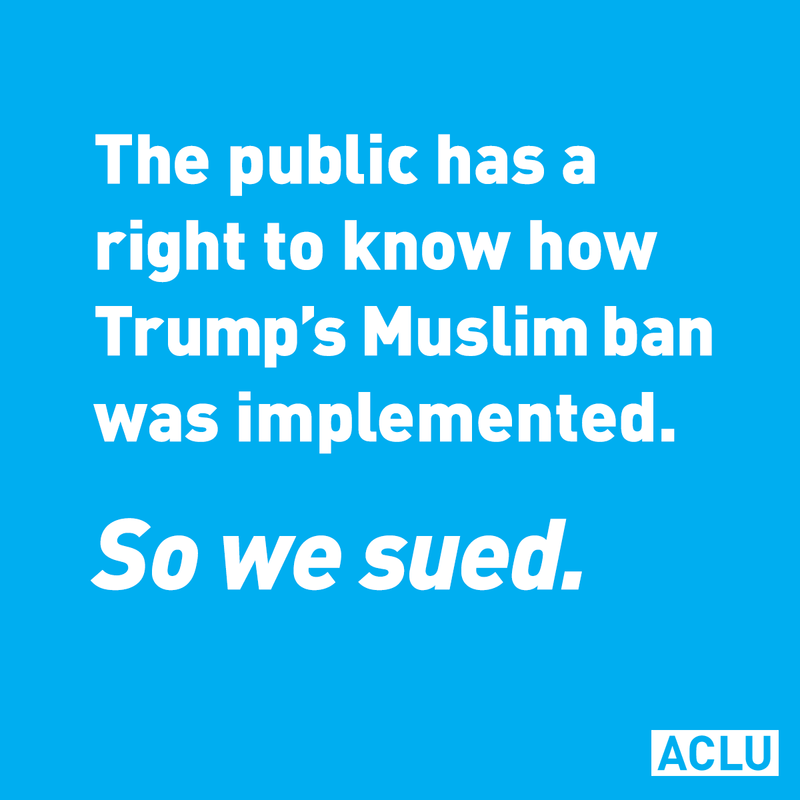 MILWAUKEE — The American Civil Liberties Union of Wisconsin filed a Freedom of Information Act lawsuit today demanding government documents about the on-the-ground implementation of President Trump’s Muslim bans. Today’s action is part of a total of 13 FOIA lawsuits filed by ACLU affiliates across the country. The ACLU of Wisconsin lawsuit is seeking records from U.S. Customs and Border Protection’s Chicago Field Office. In particular, the lawsuit seeks records related to CBP’s implementation of President Trump’s Muslim bans at any airports within the purview of that office, which encompasses airports in Wisconsin, O’Hare International Airport in Illinois, and many other airports. The coordinated lawsuits seek information from the following local CBP offices: Atlanta, Baltimore, Boston, Chicago, Detroit, Houston, Los Angeles, Miami, Portland, San Diego, San Francisco, Seattle,Tampa, and Tucson.